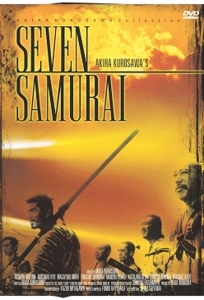 Kurosawa's classic story of a 16th century village which hires seven samurai to defend them against marauding bandits. Unquestionably one of the greatest films ever made, it stands as a prototypical action film and is the obvious blueprint for THE MAGNIFICENT SEVEN. Academy Award Nominations: Best (Black-and-White) Art Direction-Set Direction, Best (Black-and-White) Costume Design.